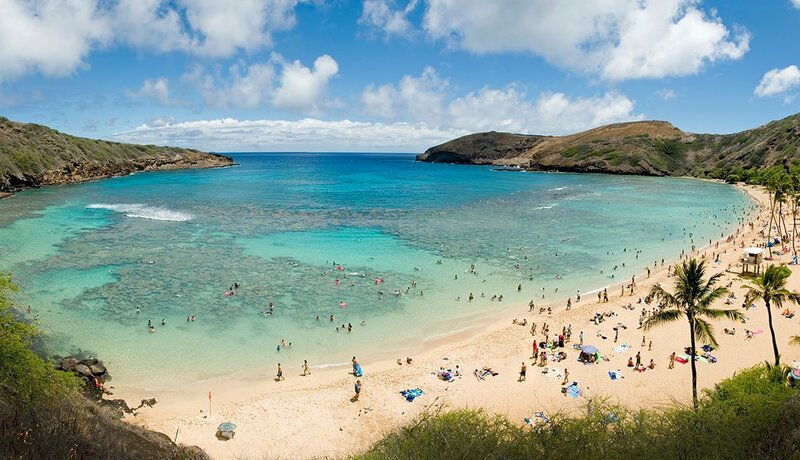 Experience the elegance of a bygone era by booking a stay at the Royal Hawaiian Hotel. 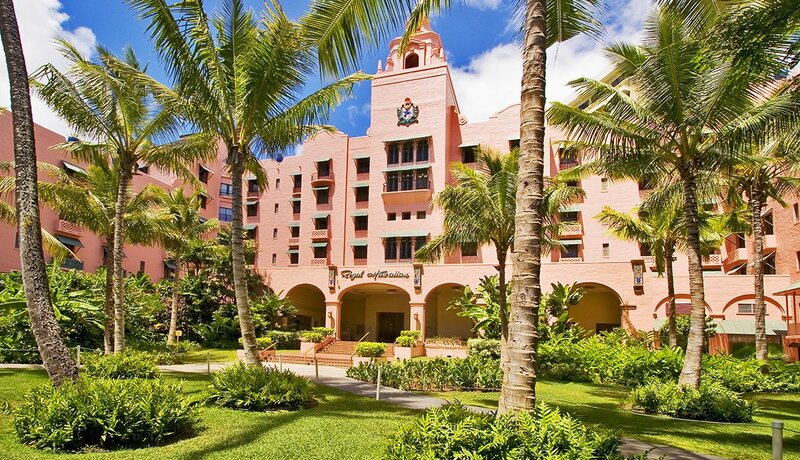 The iconic pink Spanish-Moorish hotel, situated on land that was once the playground of Hawaiian royalty, has attracted heads of states and a bevy of celebrities since opening its doors in 1927. Take a historical tour of the hotel and its lush tropical grounds, then grab a seat right before sunset at the world-famous Mai Tai Bar. A few blocks down, relax in timeless, Victorian elegance at the Moana Surfrider Hotel, established in 1901 as Waikiki's first hotel. Experience the hotel's white-glove afternoon tea service under the 70-year-old banyan tree in the hotel courtyard. Whether you are traveling solo or with your kids and grandkids, a luau is a fun-filled way to experience the food and culture of Hawaii. Arrive early to participate in activities and cultural demonstrations such as lei making, hula lessons and spear tossing. Watch the luau’s main course — an all-day roasted pig — be ceremoniously removed from the imu (underground oven), then head over to the buffet to enjoy the kalua pork along with other traditional dishes. 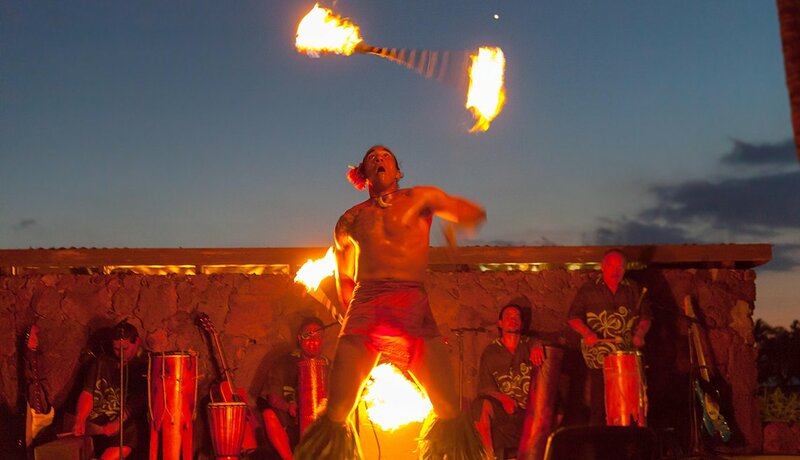 After dinner, enjoy a Polynesian dance and music show. Be sure to make reservations, since many of the popular venues, such as Paradise Cove, Germaine’s and Chief’s Luau, end up with wait lists. 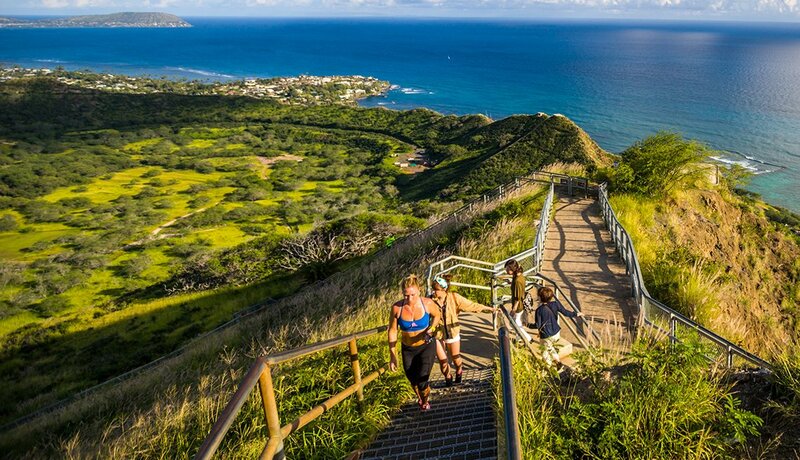 Take a break from the sand and surf and head out on the Diamond Head Trail. The steep, moderately strenuous 0.8-mile hike to the 760-foot summit offers breathtaking, 360-degree views when you reach the top. An easier and flatter hike is to the popular Waimea Falls located in the Waimea Valley Nature Park. This is the only waterfall in Oahu that provides a lifeguard and changing rooms for swimming. Be sure to drop by the visitor center for a schedule of Hawaiian cultural activities that take place daily on the grounds. 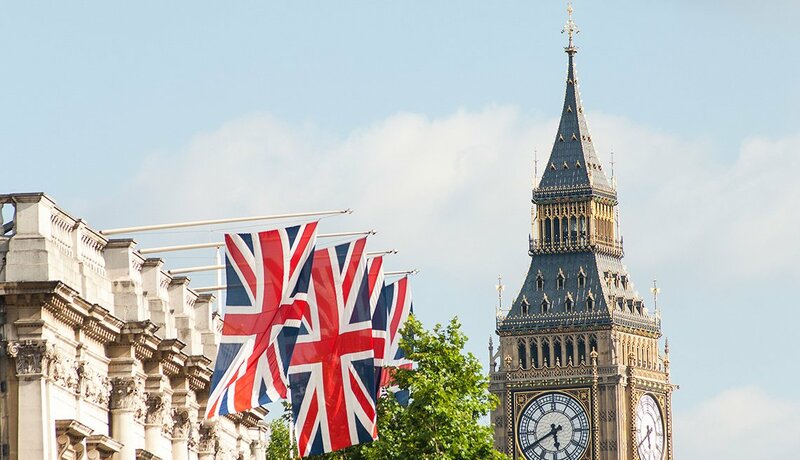 There is a 25 percent discount on admission for ages 62 and up. 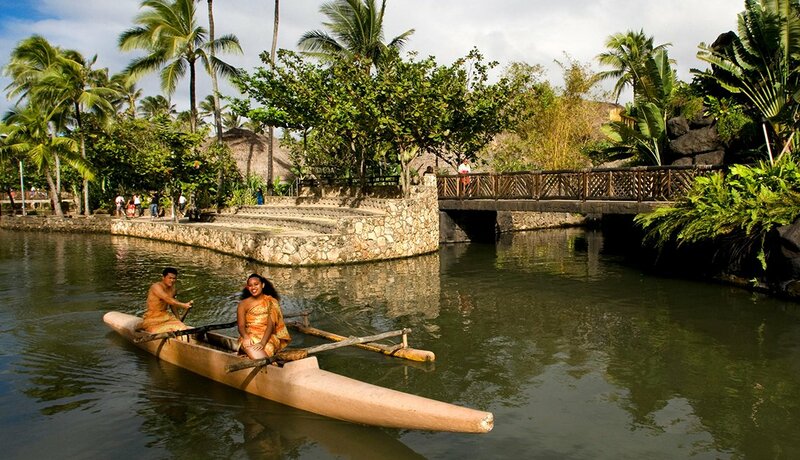 Learn about the people, history and traditions of the Polynesian Islands in a beautiful 42-acre setting in Oahu's North Shore. The center pairs mentors and university students from various Polynesian islands — Hawaii, Samoa, Aotearoa (New Zealand), Tonga, Fiji and Tahiti — to share the arts, crafts and culture of their homeland. Demonstrations and activities such as spear throwing, canoe paddling and hula dancing are offered at different villages representing six island nations. You can spend the whole day and evening here by upgrading your admission ticket to include the luau dinner and the spectacular evening show "Ha: Breath of Life," featuring 100 performers. Hotel pickup and drop-off is available as an add-on to admission. 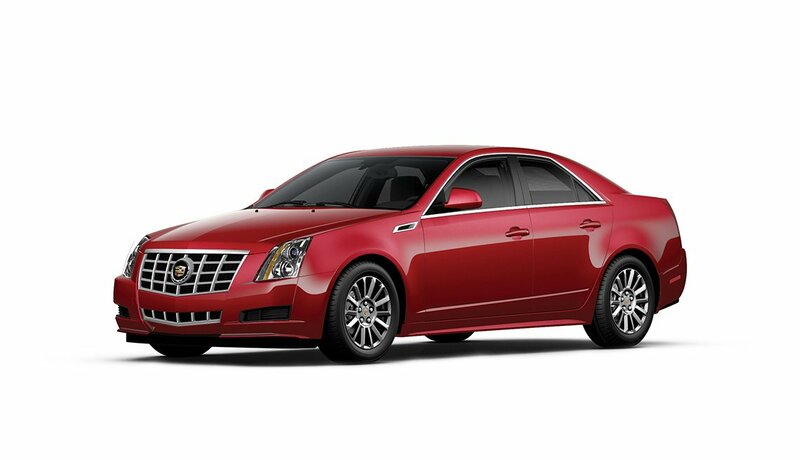 Purchase advance tickets online and save 10 percent. 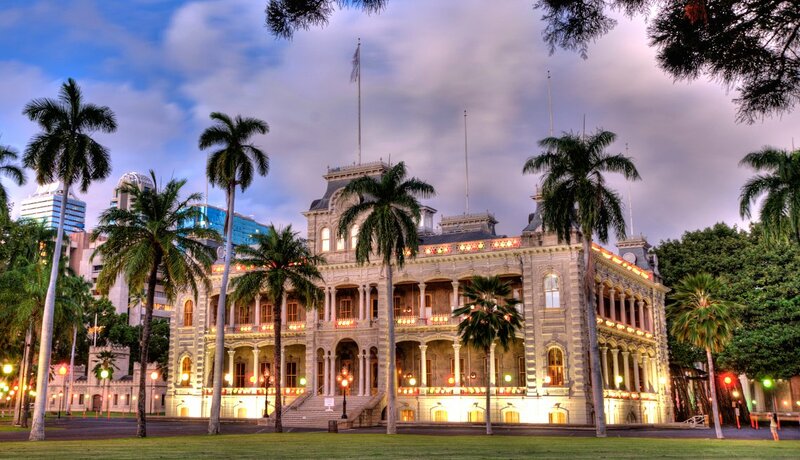 Stroll into downtown Honolulu and visit many of Hawaii’s historical treasures, including the 'Iolani Palace, the only official royal residence in the United States. Built in 1892, it was home to Hawaii's last monarchs, King Kalakaua and his sister, Queen Liliuokalani. Across the street, you can view the King Kamehameha statue at Aliiolani Hale and then embark on a comfortable walk to see the Hawaii State Capitol, the Mission Houses museum and the Kawaiaha'o Church, Hawaii’s first Christian church. If you plan to tour inside, be sure to check schedules in advance as some places are closed on Sundays or Mondays. Public transportation is readily available between Waikiki and downtown and takes approximately 20 minutes by bus. 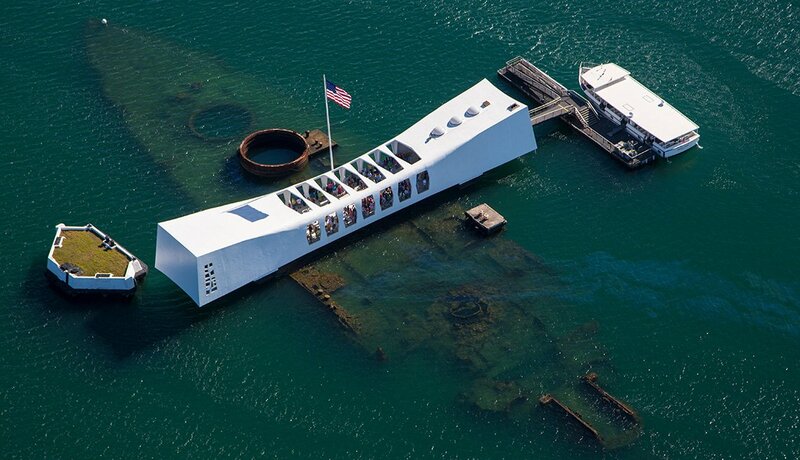 Pearl Harbor and the USS ArizonaMemorial are the top tourist destinations in Oahu, with over 1.5 million visitors annually. Free daily boat tours to the memorial are available from 7:30 a.m. to 3 p.m. and include a documentary film on the history of the attack that killed 1,177 crewmen on Dec. 7, 1941. Tickets for the national park’s tour can be reserved two months out for a fee of $1.50 each at recreation.gov or by calling toll-free 877-444-6777. Each day an additional 1,300 free tickets are given out at the Pearl Harbor Visitor Center on a first-come, first-served basis. Gates open at 7 a.m.
Board a vintage-style train for a two-mile, 20-minute narrated tour around the Dole Plantation. The tour showcases a working plantation on the North Shore and the legacy of pineapple and agriculture in Hawaii. The self-guided Plantation Garden Tour allows visitors to stroll through eight gardens representing the past and present of Hawaii's agriculture. 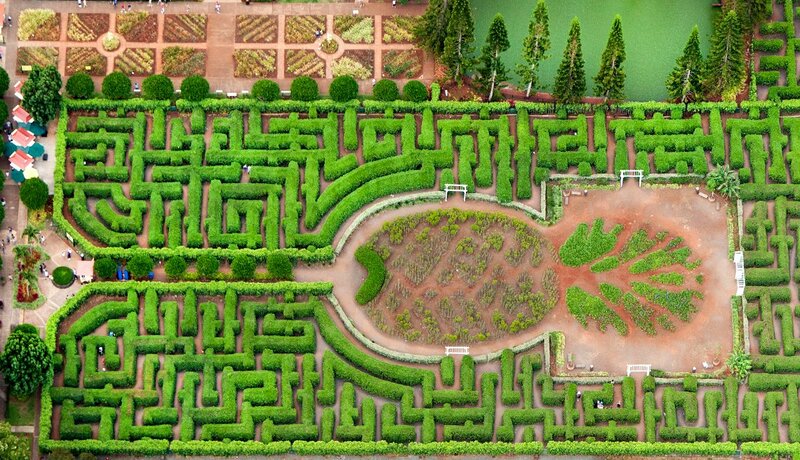 Dole Plantation's Pineapple Garden Maze holds the record for the world's largest maze from the Guinness Book of World Records. If you are up for the challenge, secure clues from eight hidden stations and complete the maze in record time to win a prize. Admission to the grounds and some activities, including a pineapple cutting demonstration, are free. Tickets for the train, maze and garden tour can be purchased separately or in a package.